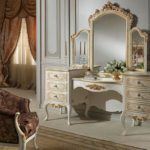 Women’s makeup vanity table is a piece of furniture that has a delicate and feminine allure and is an integral part of almost any bedroom. It is often placed not far from the bed or in the corner and it is really hard to imagine cheap vanity table without mirror. This piece often includes several drawers and a nice surface for displaying and storing different things. 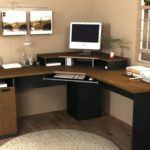 Actually, it is a basic desk with one or several mirrors, and it can be very practical and beautiful. Here are several examples of the most successful designs of contemporary vanity desk. Opalina – modern black vanity table that comes in three versions: azure opaline, frosted or extra clear glass. Piece includes a circular mirror, handy storage drawer and has a simple slender appearance. It can hold up to forty kilos and you can decide by yourself which stool to pair it with. If you have a tiny bedroom, Maskara women’s makeup vanity table is what you need. 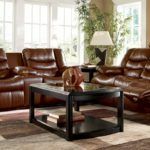 It is pretty small and can be placed in any corner of the room or even near the bed where it will perform as a nightstand as well. 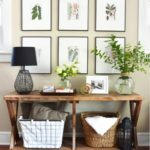 There are several color and frame options to choose from, and things that do not change are presence of a storage box and mirror. Design of the Afrodite table vividly shows how large makeup table may be similar to a common desk. Its frame includes three drawers and is made of solid canaletto walnut. As for the top, it is available in cuoietto, wood, glass or marble. Kara is a piece of art created by Toner Architects. This elegant large makeup table has a winding form and features storage compartments on both sides. Moreover, offered number of mirrors and their sizes and shapes make the design very attractive and eye-catching. Debut of the Ren makeup vanity was in 2016. Its elegant and slender design won thousands of hearts. 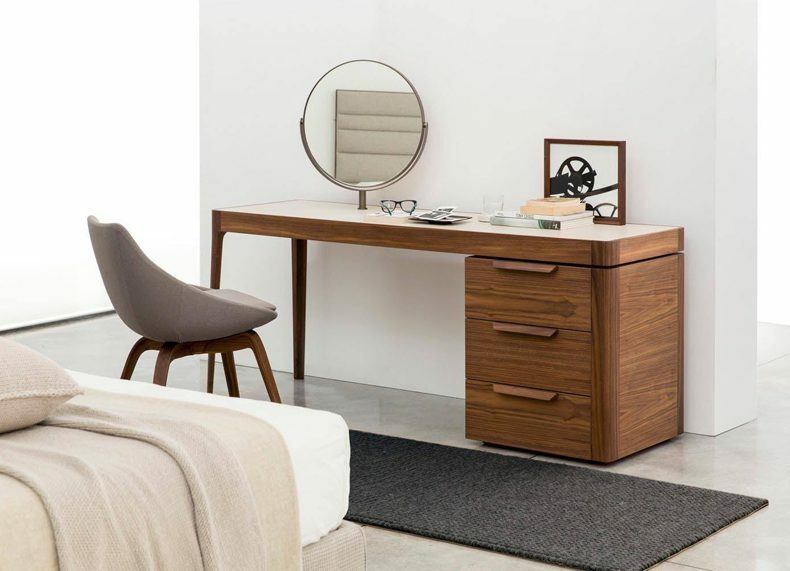 Canaletto walnut frame and wide range of additional accessories make this contemporary vanity desk an accent piece in any bedroom. All details here are essential and add a refined touch to the décor. Versatile design of Venere dressing table makes it serve not only as a vanity but also as a writing desk. Carlo Colombo designed it in 2013 and until now such design is still very popular. Covered with painted glass, its wooden structure remains durable, and three drawers offer more than enough place to storage everything you need. 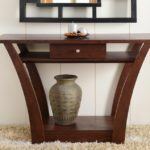 If you like asymmetry in the décor and has a small bedroom – Moved Console table is your option. It is designed the way to be flush-mounted to the wall, because actually it has only two front legs. The third leg does not carry any functional load, so before fixing it to the wall think twice about its location. My Beauty – is not a cheap vanity table without mirror. It is a great example of makeup tables that include hidden storages and have stylish and simple look. An extra storage is hidden in the center of the tables’ top where fold-up flap with a mirror inside is placed. Such storage is great for keeping some makeup products or jewelry. Probably one of the simplest designs is performed in the Lei vanity. Although it has a simple look, it is multifunctional, practical and very stylish. One removable drawer and fold up mirror definitely give a certain freedom. Another example of modern black vanity table is Tolda. You may fall in love with it for many reasons. For example, mixture of beauty and simplicity, romantic and bohemian allure, minimalistic, but still functional design… You choose! Vanity Stool – Which One To Choose?